Yesterday kicked off my new summer fun obsession. 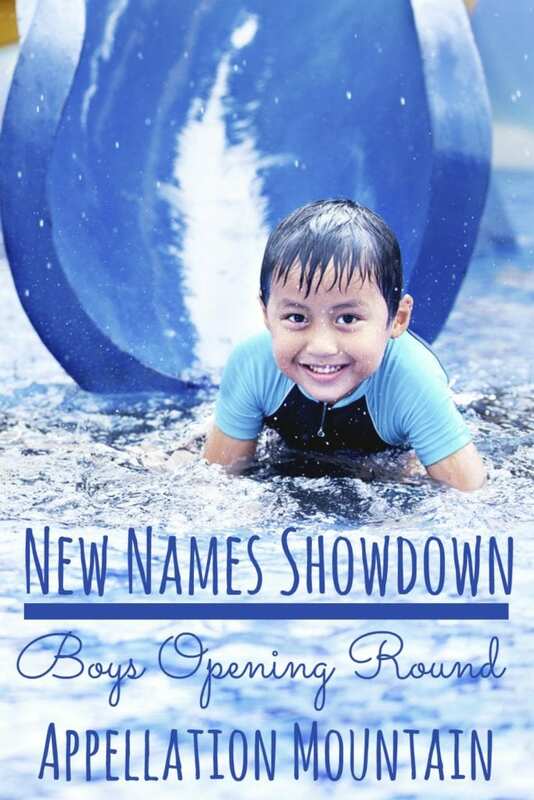 Welcome to the first ever New Names Showdown 2016 boys opening round! Our goal: to choose the name most likely to climb dramatically when the new numbers come out in 2017. 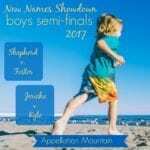 This is the boys’ contest; the girls’ opening round posted yesterday. The contestants weren’t chosen completely at random. Instead, I combed through the list of all the names new to the US Top 1000 this year, and picked eight likely contenders. As with the girls’ contest, I immediately crossed out names that were clearly spelling variations of popular names. (Bye-bye, Kamren, Kye, and Juelz!) And I tended to stay aways from names like Aarush and Musa. Why? While they’re handsome names, it takes more to make an import feel sufficiently mainstream to crack the US Top 100. It could happen – it happens all the time – but I’m not banking on it. And so I say again: it’s very possible that I omitted a future Top 100 name. But with 39 new names on the boys’ 2016 returns and debuts list, something had to give! So here are eight names that debuted in – or returned to – the US Top 1000, based on the May 2016 data. Over the next few weeks, we’ll narrow down our favorites, until we have the Appellation Mountain community’s top pick. 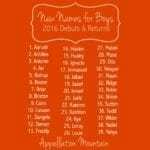 And then, next May 2017, we’ll see how well our favorite name fares in the names data. Make sense? Ready, set, vote! Oprah boosted Biblical Canaan into the mainstream, in the way that only she can. Meanwhile, Briar debuted on both the boys’ and girls’ lists this year. And why not? It’s close to Harper and Piper, but also Bryson and Bryce. These are both tough guy names. Ridge is rugged and outdoorsy; Achilles is an ancient warrior. And yet the style couldn’t be more different. Which one will triumph in 2017? In recent years, parents have rushed to discover new surname name options. Americana Boone and literary Huxley both offer an intriguing mix of history and on-trend sound for parents after something just slightly different. 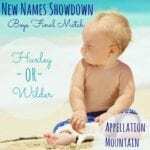 Our fourth and final match-up in the new names showdown 2016 boys opening round is my favorite. But how to choose between a place name with history and that upbeat ‘o’ sound and a preppy hellraiser pick with modern ‘r’ ending? I’ll leave that to you! Thanks for voting! 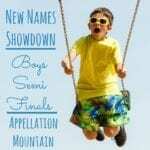 Check back next week to see which of your favorite names won the New Names Showdown 2016 Boys Opening Round! Canaan is one of those gray areas for me. In the Bible it’s the name of a person, people group, and place. On the one hand Canaan was one of Noah’s grandsons and in Genesis 9:25 Noah didn’t have anything good to say about him. His descendants, the Canaanites also didn’t have a very good reputation. On the other hand the land where they settled was also called Canaan: the promised land, land flowing with milk and honey, a good land, etc. Lol. I grew up near a town called Clio. But they pronounced it to rhyme with Ohio instead of Leo. Usually the boy polls are so much harder for m because you inevitably pair up two names I love equally. In this case each poll had one name I love versus one I either didn’t care for or one I sort of liked. I have been a long time fan of Canaan, and always thought it would make such a cool boys name. Wilder is a recent love for me.